In order to maintain the best tire performance, safety and best fuel economy, it is necessary that your tires have proper inflation pressure. To maintain proper inflation pressure, frequently check tires (when they are cool) with an accurate tire pressure gauge every month. 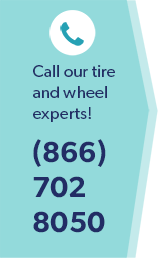 To maintain you vehicle's suspension, you must rotate your tires every 6,000 miles as well as check for worn suspension parts, under inflation/over inflation, wheel imbalance and misalignment. Not doing this can cause vibration and irregular wear. Always consult your owner's manual, but a good rule of thumb is to have the oil and filter changed regularly, every 3,000 to 5,000 miles. Have all fluids checked, including brake, power steering, transmission/transaxle, windshield washer solvent and antifreeze. These fluids play a large role in the safety and performance of the vehicle. Check battery cables and posts for corrosion and clean them as needed. The battery fluid should also be checked and filled if it is low, except in the case of maintenance-free batteries. Have the lighting system checked frequently, including headlights, turn signals, and brake and tail lights. Check windshield washer blades for cracks, tears and windshield contact. Replace them approximately once a year or sooner if streaking begins. Inspect engine belts regularly. Worn belts will affect the engine performance. Look for cracks and missing sections or segments. Have the air filtration system checked frequently. The air filter should be checked for clogging or damage approximately every other oil change. This system ensures that the vehicle is performing at its peak condition.